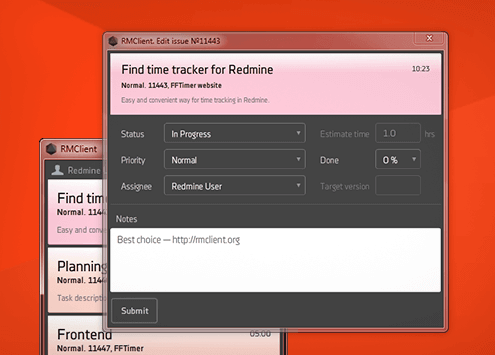 RMClient is a useful desktop app for time tracking in Redmine and allows all its users to easily navigate the stream of their tasks and be effective. 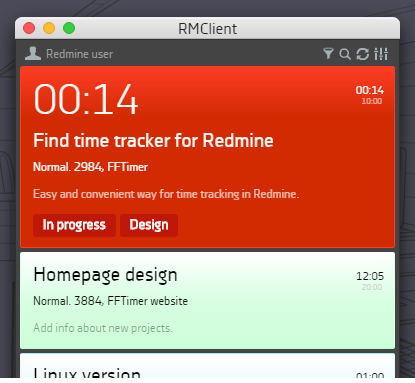 Comments: I love RMClient because it helps not only to always know about all the tasks assigned to you, but to track the spent time effectively. 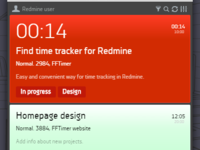 RMClient's got many useful features that help to work with the list of tasks more quickly. 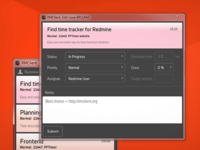 Our team of more than 20 people have been using RMClient since 2013 and can't imagine our workflow without this useful desktop app.